We are proud of our elite coaching staff at CrossFit Big D. Our coaches are experienced trainers, programmers, and competitors with a proven track record of success. 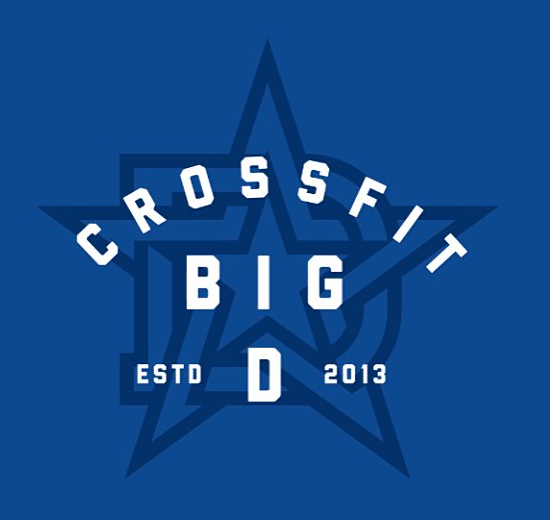 When Chase opened CrossFit Big D in 2013 he had one mission: create a healthy competitive atmosphere supported by a strong passionate community, both inside and outside the gym. Chase is one of the most experienced coaches in Dallas as well as the owner and head coach of CrossFit Big D. He has been active in the CrossFit community since 2008 and continuously brings his passion for fitness and love of Crossfit to the BIG D community. Chase is a Head Trainer with the CrossFit HQ Level 1 Seminar Staff with additional certifications as a Level 3 Certified Trainer plus certifications in CrossFit Endurance and Olympic Weightlifting. He has always been involved sports and tests of endurance. Chase has personally programed for, hand selected and coached 4 teams to the CrossFit Games, and 2 Individuals at the CrossFit Games Regional level. Personally, Chase has qualified for 5 CrossFit Games Regionals and competed as an individual at the 2010 CrossFit Games. Outside the box he has completed a Full Ironman, was the Men's Swim Team Captain at Southern Methodist University and an All-American water polo player in High School. When he's not coaching, competing, or teaching CrossFit seminars he can also be heard doing live broadcasting for the CrossFit Opens, Regionals and CrossFit Games. Bobby has been an athlete for most of his life. Growing up in a small country town in Texas (Rogers) he excelled at being an athlete playing football, basketball, and track. Bobby was also fortunate enough to continue his football career in college at the University of Mary Hardin-Baylor where he received a BBA with a major in Economics/Finance and a minor in Marketing. After graduating, Bobby picked up ice hockey, CrossFit, and ultimately the sport of weightlifting. Bobby’s first weightlifting event was back in October of 2010 and qualified for the American Open later that year. Since then, Bobby has been extremely involved in the sport as an athlete, coach, and administrator at the local and national level. Outside of competing and coaching, Bobby hosts multiple local events and has hosted the 2013 American Open, 2015 National Championships, and the 2015 Masters World Cup. He is also serving on the USAW Nominating and Governance committee. Combining his athletic experiences with his ability to analyze patterns and techniques and forecasting abilities, Bobby possess a unique skill set he offers his athletes to help them set and achieve realistic goals. He believes that your attitude and ability to trust your technique are the keys to unlocking your ultimate potential. Whether your goal is specific to weightlifting or to supplement another sport, Bobby will be able to come up with a game plan to trust yourself and your technique to achieve your goals. Jake has been a part of the Crossfit community since 2010 when he stumbled into a Crossfit gym as a young 19 year old. Young and enthusiastic he dived head first into Crossfit and never looked back. As an athlete Jake has competed in every Crossfit Open since it’s inception and qualified as an Amateur for the Fittest Games in 2015, 2016 and 2017. Outside of Crossfit he has go to qualify and compete in Olympic Weightlifting at the USAW University Nationals in 2014 & 2017. Jordan is a CrossFit Level 2 Coach with an additional certification as a NASM-Certified Personal Trainer. Jordan is a fitness and wellness enthusiast that stumbled upon CrossFit in 2011. He grew up a multi-sport athlete with a background in Cross Country in college as well as basketball and football in High School. Jordan graduated college from at Texas Tech University with a B.S. in Exercise Sports Science. After graduating from college, Jordan began coaching CrossFit in Lubbock, TX. A family man and Father of two Ben has been in athletics and his entire youth from Basketball to Collegiate High Jumping. Ben has been doing CrossFit since he was a junior in High School, began coaching in 2013 and hasn't looked back since. Ben is CrossFit Level 2 Certified as well as CrossFit Kids. Competitively, Ben has gone to CrossFit Regionals twice in the Central East Region and the Reebok CrossFit Games in 2013 with his team from CrossFit Mayhem. As much as Ben is gifted in Coaching people inside the gym he has also found a calling for helping people outside the gym. Ben and his family moved to Dallas so he could begin Chiropractic school at Parker University where he helps run their Fitness Facility on campus.